Outside of Low Information Voters, Conservatives pick up votes from other folks. "Attention Republican LIARS: FBI Statistics PROVE That There is No War on Christianity." "One of the biggest, most oft-repeated claim is that there’s a war on Christianity in the country. Challenging this claim is one of the biggest breaches of political correctness that you can make, and it’s no secret that very few things in the universe are as regular and predictable as manufactured Christian outrage over perceived slights. At this point, there are probably people getting ready to go into the comments and proclaim this “another anti-Christian piece,” since I’ve violated political correctness by pointing out their behavior. Others didn’t even make it this far; they hit the comments after reading the title. "Of course, we all want to think that we get outraged for the right thing. Perhaps there’s something that we’re not seeing; let’s give them the benefit of the doubt. 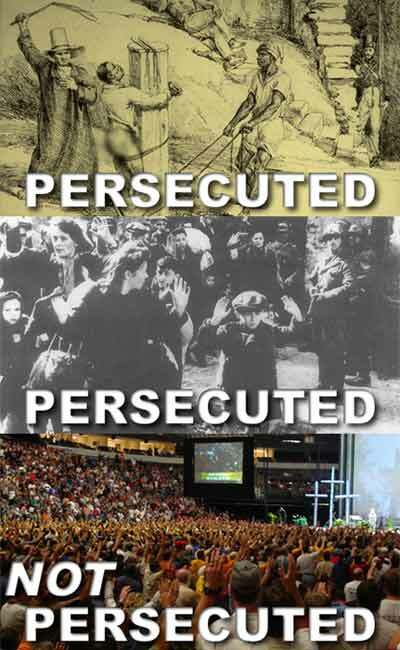 After all, Christians are persecuted for their faith in other parts of the world. These are places where Christians are brutally attacked, murdered, raped, abused, and subject to government-sponsored silencing attempts — that is, where Christians are persecuted..."
...and sometimes the voters swallow the Cons' propaganda, not following the money. ...especially when the take credit for others' achievements. ...and if you believe that, I've got a bridge to sell you. And they have several minor beliefs too! ...and maybe you vote for them because they don't care who or what stands in their way when they want their way? ...because they're the party with ideas! So when you wonder if you should vote against your own interests...please think again. 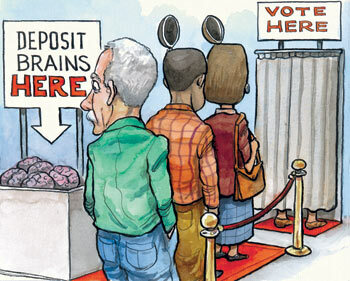 Voters come in several different varieties, but it's the stupid ones that do us in every single time. The Low Information Voter is another kind...followed by partisans of every stripe. James Hart and I'm running for Congress." James L. Hart, Failed GOP congressional candidate.